Meeting with an attorney can be an intimidating experience. We understand and we want to help prepare you for your potential meeting with an attorney following an accident, whether it is me or someone else. Keep in mind that lawyers meet with people every day who are suffering from injuries following a car wreck or truck accident, and we are accustomed to helping clients in every way that we can and making any necessary accommodations for our clients. You may feel better about the process if you bring someone with you who is calm and can help you stay calm, too. You are welcome to bring that friend or family member with you if that is helpful to you, so long as you understand that we may be discussing personal business with you. The initial consultation with our attorneys in accident cases is free. Here’s a short list of things you might need. You may think of additional items. If so, feel free to bring those, too. Identification. For most people, that’s a driver’s license. If you do not have one, bring whatever form of ID that you have. If you have it, the police report. If you don’t have any idea how to obtain it, that’s OK. We can get that for you. If you have the information on which officer responded to your accident, that’s a great start. The date and the time of the accident are also helpful. Paycheck stubs or other information about your income. If you missed work due to your accident, you may be entitled to receive payment for lost wages. We will need to show how much you make. If you are self-employed, any records that show how much income you receive can be useful. Photos. If you have any photos of the accident scene, the damage to your vehicle and photos of your injuries, please bring those with you or have them accessible on your phone. Medical records. Who treated your injuries following the accident? If you went to a hospital by ambulance, where were you taken? What was the diagnosis? If you don’t have the records handy or don’t know how to get them, we can help with that. Just tell us who your doctor is and which hospital treated you, and we can take it from there. Insurance policies. 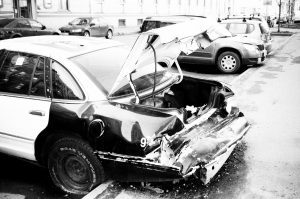 In the event that the other party in the accident isn’t adequately insured, your own insurance may pick up some of the costs of the accident. We will look at your insurance policy with you. If I can help you with your personal injury case, please contact me, J.A. Sowell, at (270) 781-6500 or jasowell@elpolaw.com. 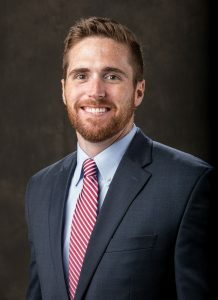 My firm, English, Lucas, Priest and Owsley, has extensive experience with personal injury cases, including car accidents, tractor-trailer wrecks and premises liability cases (trip and fall cases).